Press Release 18.10.16 – National IRO Managers Partnership (NIROMP). Securing better life chances & choices for children in care and care leavers. NIROMP is the leadership body in England for statutory Independent Reviewing Officers (IROs) and IRO Managers. “The National IRO Managers Partnership in England is determined that all children should feel and be safe, happy and well cared for in the right setting at the right time. The Children and Social Work Bill is an opportunity to review practice and develop more innovative approaches and models of support across the whole system of children’s services. Ability to achieve stated ambitions for vulnerable children and families would be assisted if national policy and regulation allowed for more freedoms from overly centralised controls, whilst ensuring safeguards are maintained. We believe that the Children and Social Work Bill is an attempt to facilitate different service delivery models based on trial and experience of what works and we believe this is a good thing”. This press release provides NIROMP’s perspective to proposals set out in the Children and Social Work Bill. It follows NIROMP’s official briefing paper to the House of Lords on 17.10.16. NIROMP has given careful consideration to the range of perspectives and amendments to the Children and Social Work Bill. Having followed the Bill carefully from the start, and being minded to the full weight of our responsibilities to the children and young people we are here to serve, we are pleased to have reached a national perspective. NIROMP is determined that every child should feel and be safe, happy and well cared for in the right setting at the right time. Every child should have the best opportunity to reach their full potential through an approach that is best able to meet their need. Children’s services and the social work profession stand at a crossroads. We have an opportunity to do things differently, to identify what works and to positively shape public service reform, to ensure the most vulnerable children and families are not dependent on services constrained by unhelpful prescription and control. We are passionate and proud about many of the achievements of IRO services, about doing the right thing for our children in care and care leavers and about our constant challenge to provide better help for those who need it. The demand for children’s social care has continued to grow with councils having to manage a decrease in budgets. This tension has placed children’s services across England under immense pressure. IROs continue to work hard to minimise the impact of these pressures on the quality of help and protection afforded, but local differences in the way IROs are used and employed inevitably contributes to differences in the quality of service provided to children in different parts of the country. Our worry is that the pattern of increasing demand on councils and the impact of austerity measures could result in the most vulnerable children being left at risk if nothing changes. Our ambition simply put is to help achieve the best possible outcomes for the vulnerable children, young people and families who need it most. All these things can be done locally by strong services with the means to deliver the right kind of targeted help to meet identified need based on who is best able to deliver help that will enable the child and family to live better, and live better together wherever possible, ensuring that vulnerable children and families are given the best possible help to thrive independently of children’s services where appropriate. 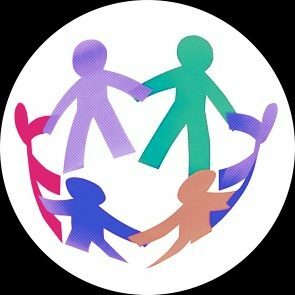 The National IRO Managers Partnership (NIROMP) is excited by the opportunities to further improve outcomes for children in care and care leavers through the Children and Social Work Bill. The group believes that the Children and Social Work Bill provides an opportunity to look at how practice and support is provided across the whole system of children’s services. We recognise that despite IROs having a regulatory handbook, determination and unswerving child focus on protecting children and their rights, approaches to using IROs to quality assure and review individual care plans and improve overall outcomes, has not been consistently effective across the nation. IROs continue to drive a strong ambition to raise the highest standards of provision for children in care and care leavers but, in some parts of the country, children and families experience less help and protection from councils than in others. This must be addressed and could be achieved, in part, by allowing councils more freedoms and flexibilities on the basis that there is no one-size-fits-all solution. The demand for children’s social care has continued to grow with councils having to manage no equivalent growth in budget. This tension has placed children’s services across England under immense pressure. IROs continue to work hard to minimise the impact of these pressures on quality of help and protection afforded to children and young people, but local differences in the way IROs are used and employed across the country has contributed to differences in the quality of service provided. The pattern of increasing demand on councils and the impact of austerity measures could result in the most vulnerable children being left at risk if nothing changes. It is right that consideration be given to different ways of delivering services that are far more capable of achieving the kind of help that children, young people and families absolutely need and deserve. We want to think creatively about how best to achieve more proportionate and consistently ambitious services to meet their full range of needs, while strengthening the quality of provision and upholding children’s rights. We are in full support of finding better ways to facilitate children in care and care leavers feeling and being safe, happy and reaching their full potential through children’s services trying innovative approaches to address timely and effective achievement across a range of child welfare and performance indicators. We are requesting involvement and opportunities to consult on any proposed innovations so that we can share our national, regional and local specialist knowledge, experience and skills to make sure that children’s rights and wellbeing are never compromised and that the resources can be used to have the most impact. The national managers group formed originally in 2004 as a ‘working group’ made up of IRO Managers who were representatives from the Government Regional areas across England, to work with the Department for Education (DfE) on ‘IRO guidance’ for The Adoption and Children Act 2002. With our advice, the roles and responsibilities of the Independent Reviewing Services became embedded within the framework of the IRO Handbook, linked to revised statutory Care Planning Regulations and Guidance which was introduced in April 2011. The Chair and Vice Chair were elected to lead the national group in 2014 and the group became officially known as the ‘National IRO Managers Partnership’ (NIROMP). NIROMP continues to work directly with government, acting as advisors in relation to guidance, policy and practice; and sharing regional and national information in relation to care planning and outcomes for children and young people in care and care leavers. 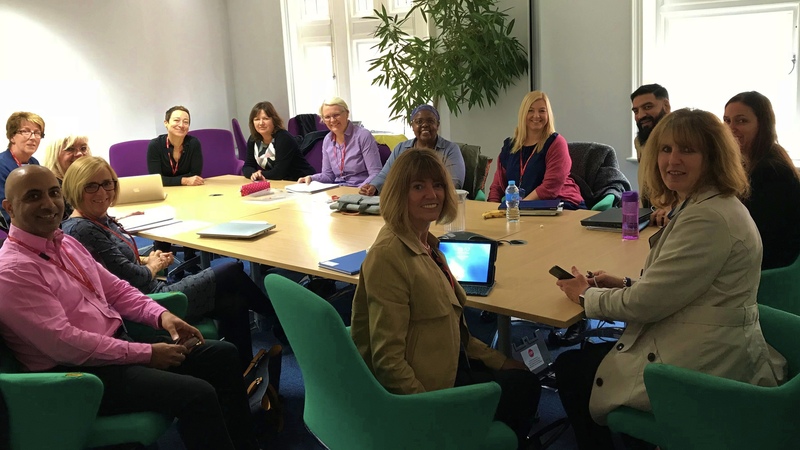 The partnership meets in London four times a year, and we are grateful to the DfE for hosting our meetings. The national group consists of managers of IRO services and many also manage Child Protection services and/or Participation services within their own Local Authority. Two managers from each region are elected to represent each of the nine regions that make up the 152 local authorities across England. NIROMP’s elected leads represent IRO services across all local authorities. They provide support and guidance to IRO services in the country and lead on the delivery of plans created in collaboration with their regional networks . These regional leads provide quarterly updates to the national group.